In the biggest fine it's ever imposed in Manitoba, an investment dealer regulatory body has levied penalties of $485,000 against a member who worked at a Winnipeg branch of RBC Dominion Securities. Gennaro (Gerry) Scerbo made "fraudulent withdrawals" from his wife's RRSP account without her knowledge or consent, said the decision by a hearing panel of the Investment Industry Regulatory Organization of Canada (IIROC). 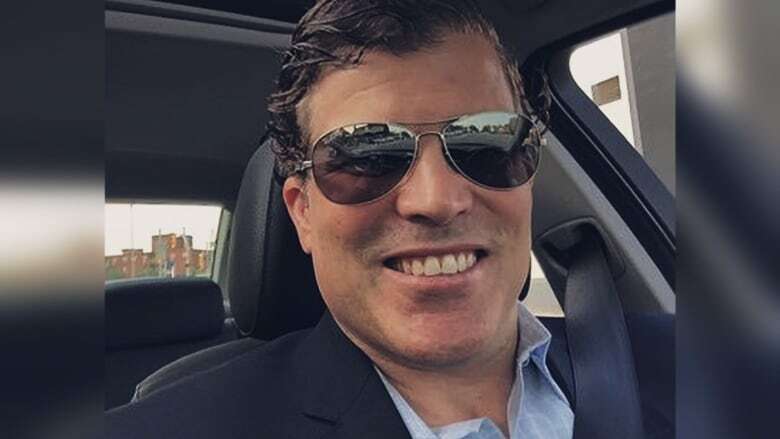 The panel found that while Scerbo was a registered representative at RBC Dominion Securities, he "forged his spouse's signature on RRSP de-registration forms 57 times in order to misappropriate approximately $271,000 from her RRSP account over a period of approximately four years." Scerbo's former spouse Maddalena Santarsieri said it exposes inadequate oversight by RBC Dominion Securities and she's now suing the company. "I trusted my husband, who was a financial adviser at RBC," Santarsieri told CBC News. "He basically forged my signature 57 times and withdrew my money without consent," she said, adding she did not receive any phone calls from RBC Dominion Securities about the withdrawals from her RRSP. Scerbo told CBC News the case amounts to a "domestic dispute." "She had online access to our bank accounts, online access to all her accounts. All the money that we de-registered went into our account to finance the million-dollar house she's living in and finance our lifestyle," Scerbo said. RBC Dominion Securities said it has co-operated with IIROC's investigation. "We require that all employees maintain the highest standards of behaviour and operate in accordance with the regulations governing our industry," wrote Louise Armstrong, director of communications with RBC Wealth Management, in an email to CBC News. IIROC said it did not receive complaints about Scerbo from any other clients. The hearing decision permanently bans Scerbo from registration with IIROC, a national self-regulatory body overseeing investment advisers and companies they work for. "Mr. Scerbo caused significant harm and also failed to co-operate with an IIROC investigation. It was important that this penalty reflect the seriousness and scope of the allegations," said IIROC's manager of media relations, Andrea Zviedris, in an email statement to CBC News. "Wrongdoers must be held accountable for their actions," Zviedris said. Penalties included a fine of $420,000, an additional $50,000 for failing to co-operate with the investigation, plus $15,000 in costs to IIROC. Scerbo failed to attend an interview with IIROC staff in May 2017 and also failed to attend his hearing last November, the report noted. While IIROC said Scerbo was properly served notice of the hearing at the last address the regulator had on file for him, Scerbo maintains he wasn't given proper notice to attend and he no longer lived at that address. "I wasn't able to provide evidence. So this was all done without my input, my knowledge. And now, to right this wrong I need to go and hire a lawyer to reopen it," something he says he cannot afford. "It's a non-starter." The decision was made public by IIROC in March following a report dated Dec. 21, 2017, but IIROC says the penalty has not been paid yet. Scerbo's unpaid fine represents more than half the total amount of unpaid penalties IIROC has levied against individual members in Manitoba in the past decade. The Manitoba government is expected to pass a new law in the current session that will allow self-regulatory agencies such as IIROC to file their discipline decisions in court, as a way of helping enforce payment of fines. Scerbo worked at RBC Dominion Securities from 2008 until 2014, when his employment was "terminated for cause," IIROC said. Scerbo confirmed to CBC he was fired but said it had nothing to do with the case at hand. The IIROC hearing panel found he "demonstrated a deliberate, contrived pattern of conduct" and took calculated steps to hide his actions concerning his former spouse's account, including "arranging his wife's RRSP account so that monthly statements were mailed to him and were never provided to his wife," the report said. He also assumed "responsibility for filing his wife's tax returns, which he failed to do, thereby resulting in his wife being assessed significant income tax and penalties and being liable for the payment of interest on the tax arrears," the decision said. Scerbo's actions "demonstrated a total lack of integrity, and an intentional pattern of dishonest conduct over an extended period of time involving a significant number of fraudulent acts," the panel wrote. IIROC had alleged that Scerbo's then-spouse became aware of the situation after she was contacted by a collections agency concerning an outstanding credit card debt. That prompted her to review her family's financial affairs and obtain copies of records from RBC Dominion Securities, the statement of allegations said. "To her surprise, the balance in her RRSP account was far less than she had expected. In particular, she did not know that there had been any withdrawals from the account," the statement of allegations said. "Irregardless if he's my husband or not, my money should be safe there. I'm still a client. And what makes me different than any other client that banks at any of these financial institutions," Santarsieri told CBC. She said she's been fighting with RBC Dominion Securities to get her money back for the past three years. The company declined comment on that in light of the lawsuit before the court.